Location: Ojai, California is about 2 hours north of Los Angeles or 85 miles. Directions: From Los Angels take the 101 highway to CA 33 to Ojai. Take Maricopoa Highway and stay on the CA 33 to Matilija Road. 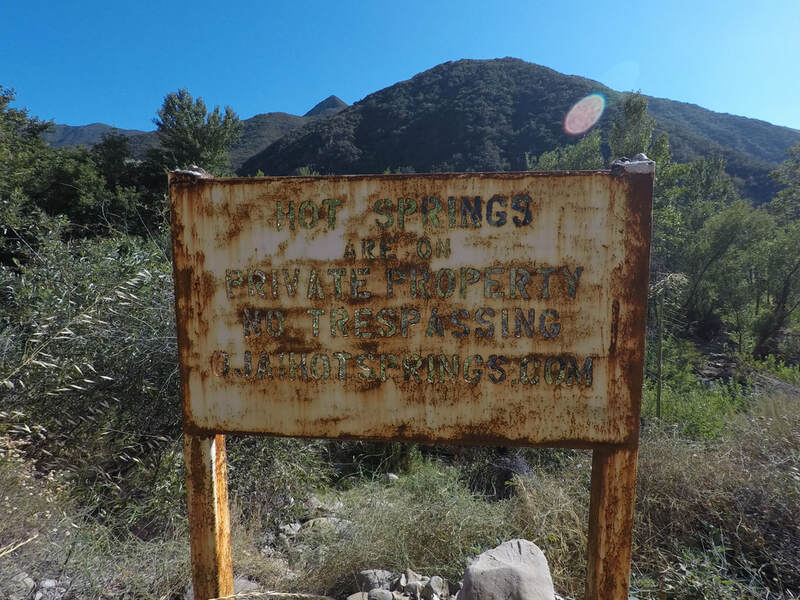 Turn left and go to 2566 Matilija Canyon Road. Accessibility: There is a paved road all the way to the hot springs. Enter into Ecotopoia compound and park in the designated parking area. Make sure to make an appointment before going. The gate is closed and locked. Once you park you walk about 16th a mile along a path that is magnificent with rock creations. 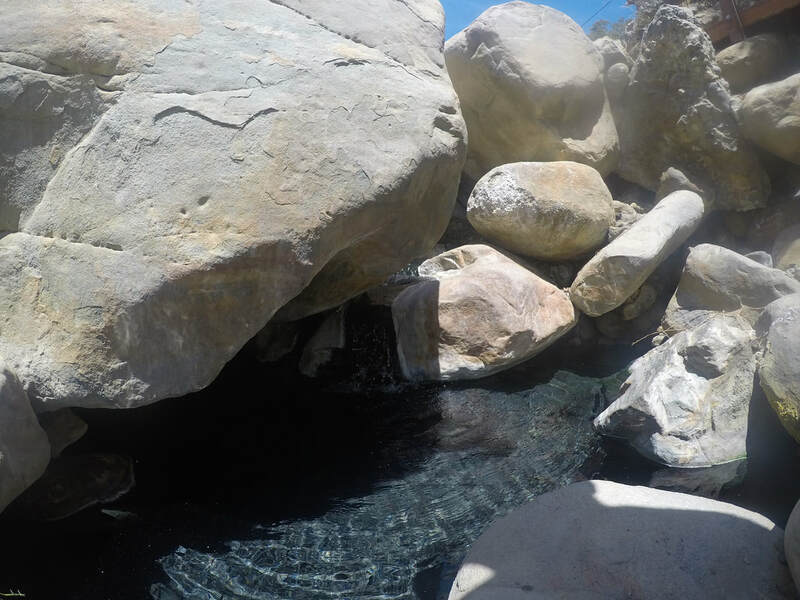 Hot Springs: There are 5 rock bottomed sulfur hot springs pools. The largest spring it 20 feet wide. The temperature is 106 degrees. Across a small bridge is an awesome cave like spring. The water cascades into this spring with two small waterfalls. The hot spring has two sides. It goes under a giant boulder making a cave like affect. It is awesome. The next pool is adjacent to the sulfur stream. It is 10X5 in size. It is 103 degrees.. The sulfur water comes out in such abundance that it cascades down all the way to a cold creek. A sulfur stream meets the creek. Where the sulfur water meets the creek there is another pool. The pool is a two person pool that is built up with rocks. The spring is 100 degrees. There are two amazing open air showers that use mineral hot spring water.